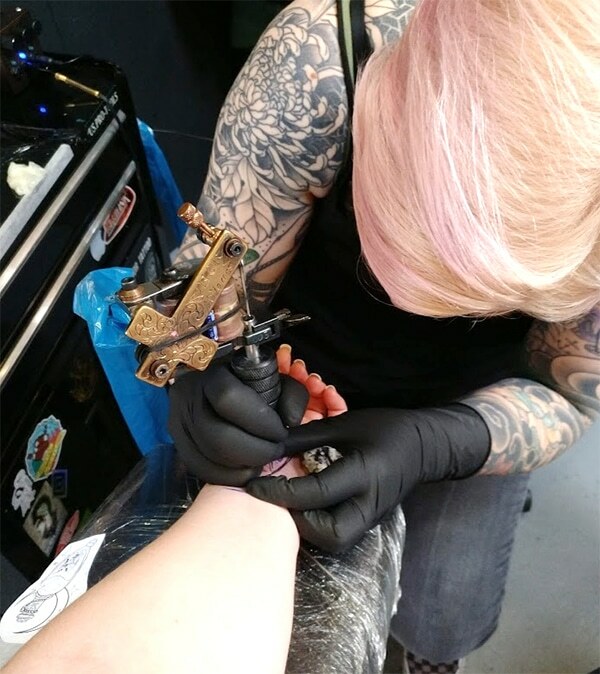 I didn’t want anything big and I knew I wanted it on my left wrist to balance the fleur de lys tattoo I have on my right wrist! I also knew I didn’t want anything obviously HP because I like the idea that if you know, you know! 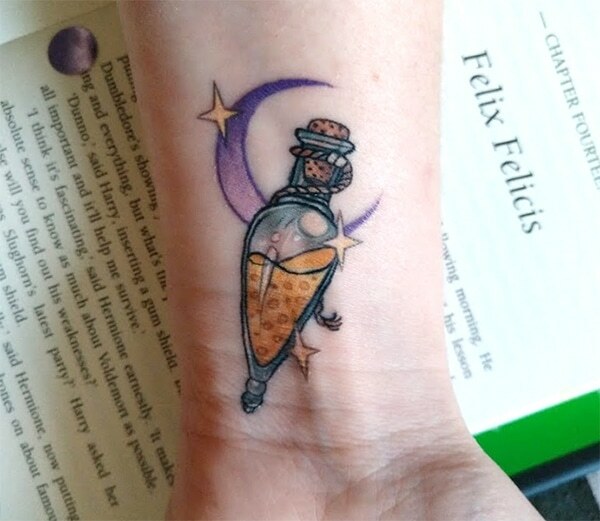 If I’d been at Hogwarts (in Slytherin obviously), my favourite subject would have been potions and that’s when I realised that I wanted a potion bottle tattoo; more specifically, the Felix Felicis! 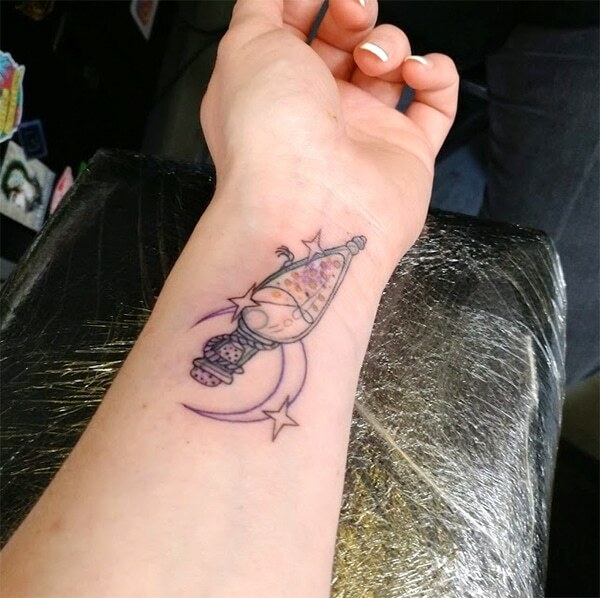 Once I knew what I wanted, it was time to find a tattoo artist! 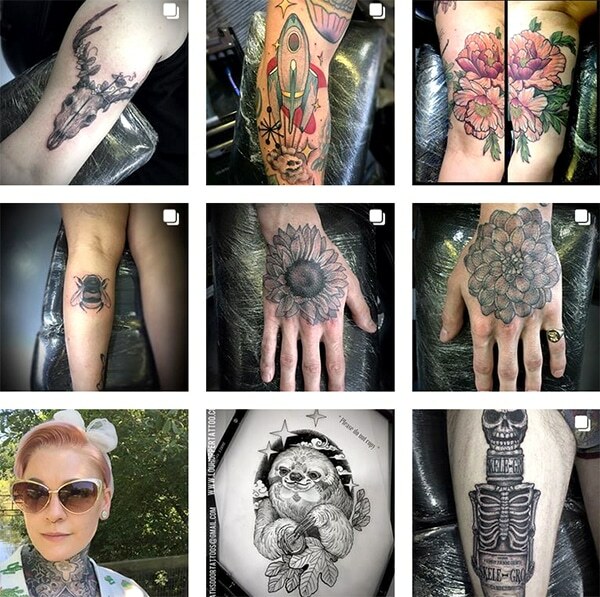 I like getting pieces from different artists, so I had a look on Instagram for local tattooists. Although a couple caught my eye, they drew in more of a cartoon style and that wasn’t really what I wanted. 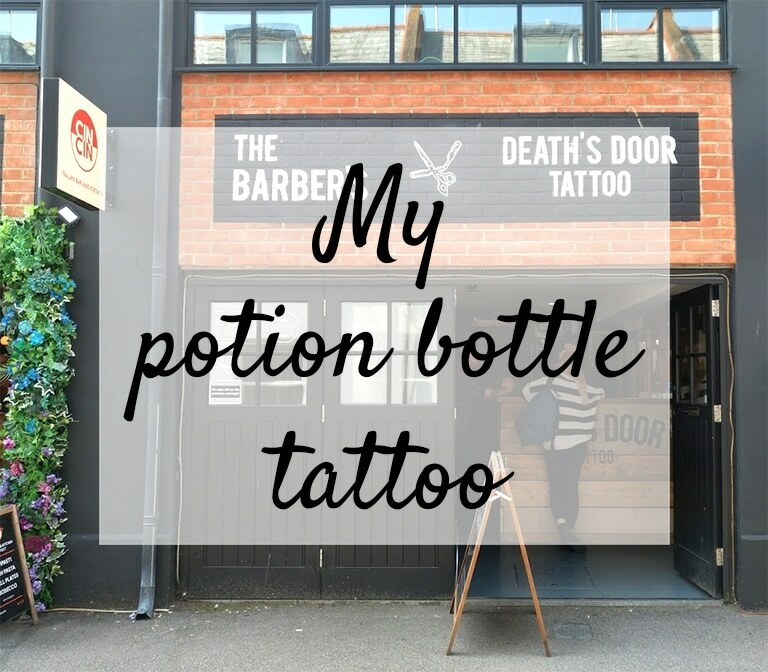 Then out of nowhere, the lovely Lou from Death’s Door Tattoo popped up and I loved her style and the fact she’d done a Harry Potter potion bottle before (Skele-Gro)!! It’s just over two weeks old now and it’s healing really well. 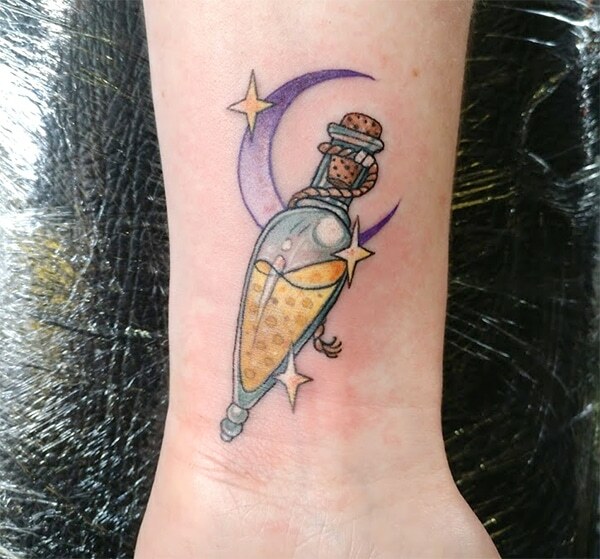 There’s a tiny bit left on the moon and a little patch at the bottom of the bottle to go, but otherwise, it’s feeling and looking pretty good!! 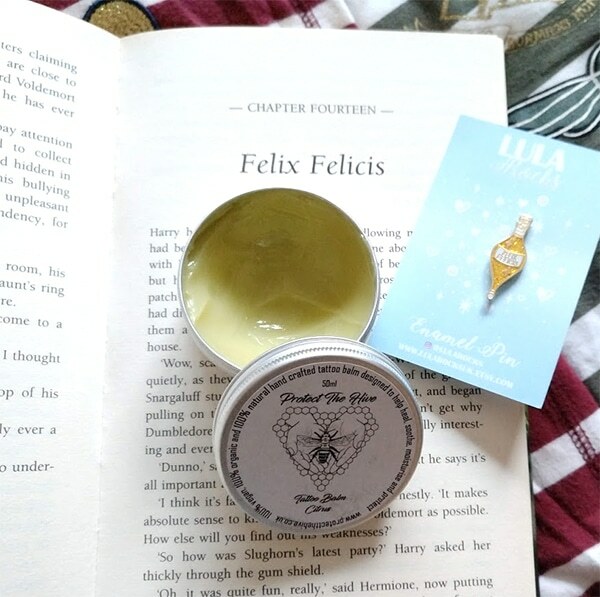 I’ve been using Protect the Hive balm on it which has not only been really helping to heal my tattoo quickly, it smells bloody amazing (mostly mangoy). It’s also 100% vegan, 100% natural and 100% organic! It looks amazing! It’s really pretty. I love the gold and purple together. Oh wow, that’s amazing! The colour and detail are beautiful, it’s so well done! Arhhh I want a new tattoo so badly. I have a fandom tattoo on my ankle, but I’ll be honest, I regret it as it’s lyrics and I want to cover it up. I really want something HP related, i might add something to my ribs tattoo. Oh my God! 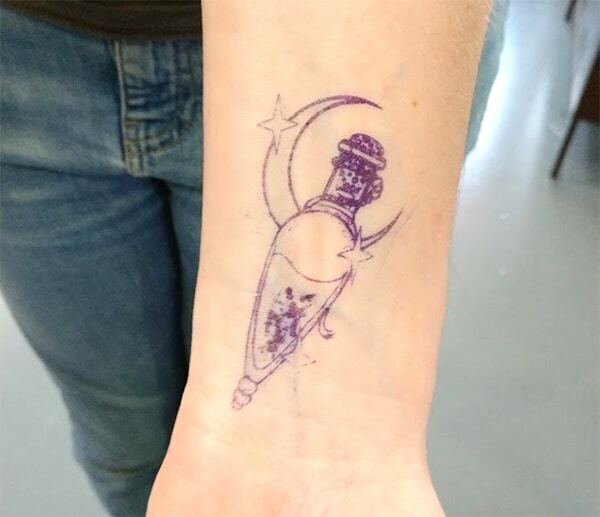 😍 This is such pretty tattoo and I like that’s it subtly Harry Potter related. 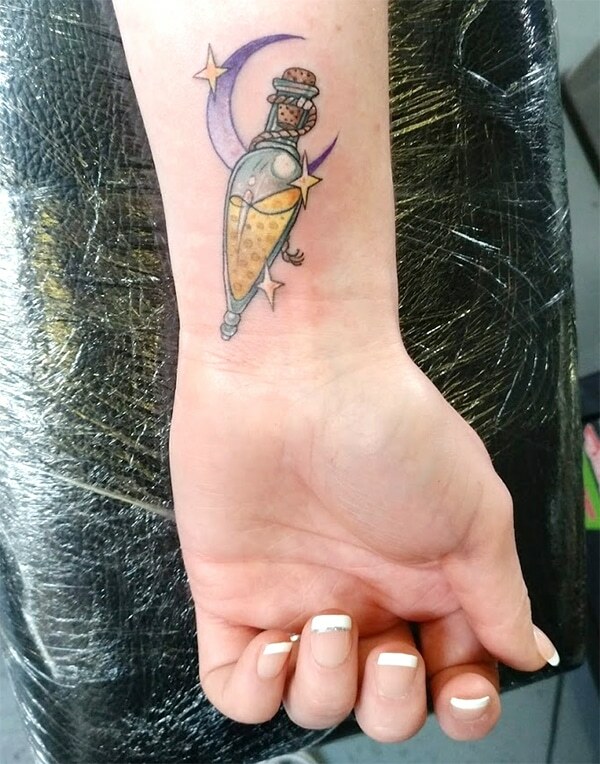 I have a Buffy tattoo and if you haven’t seen the show you wouldn’t recognise it as a Buffy tattoo. 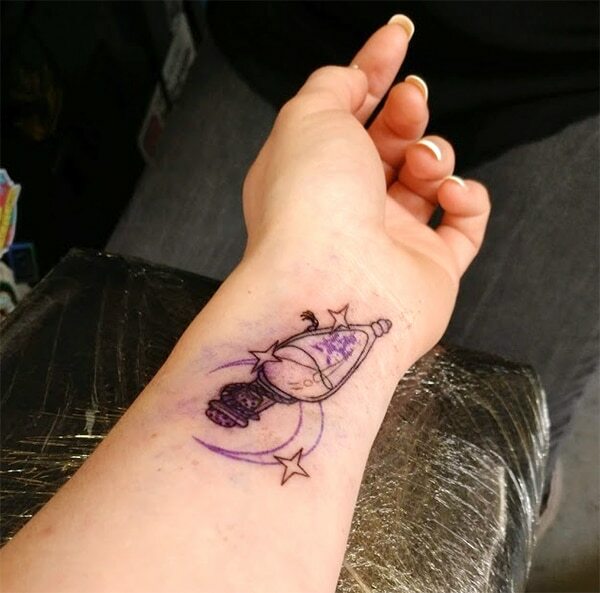 It’s a copy of one of the characters tattoos. I have thought about getting more, including a dinosaur themed semi colon tattoo on my left wrist. Mine takes up most of the small of my back and is my first and so far only tattoo. I love knowing someone else with the same tattoo as me! 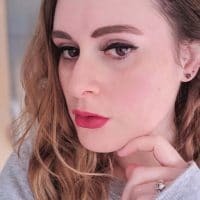 I am a HUGE Harry Potter fan and I love the idea of getting a HP tattoo – yours is so cool and unique, I’m totally with you on the “if you know, you know” vibe! It looks gorgeous on you! The aftercare pack is awesome too, what a fabulous idea! This is so cute! 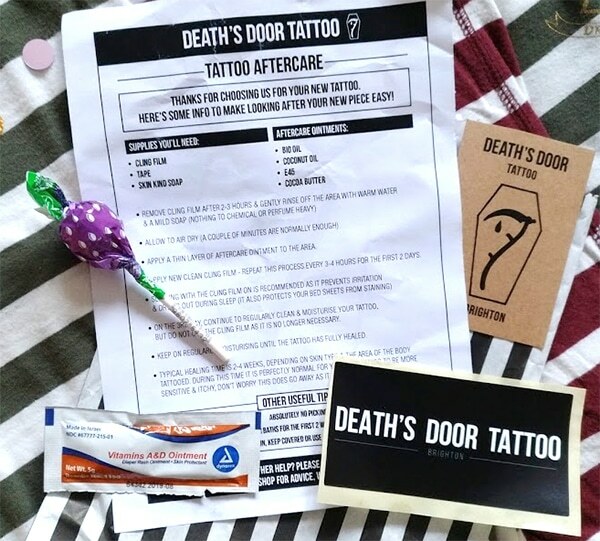 I’ve never known a tattoo studio to hand out goodie bags either and I agree; this is such a wonderful touch and I’m so jealous that out of my 5 tattoos I’ve never received anything like that! It’s such a nice tattoo.